If you’re at the end of your life, you may not want any medical intervention. It’s your choice. With health professionals sometimes wanting to preserve life as long as possible, the term ‘end-of-life’ care can sometimes seem a contradiction. And if it’s your parent or relative who is dying, you may find you become the buffer between what the care team want and what you know your relative would want. Empathising with the dying person, understanding what they really want and need and showing compassion for their choices can go such a long way in helping someone in the very last stages of their life. There are however various practical things to consider. The following information may help prepare you for some of the issues that can arise. When you’re dying you often receive more attention than you ever did before. This seems to be particularly the case with cancer, even though other diseases are just as distressing. Death can become a ‘medical process’. The paraphernalia, drugs and other interventions (albeit mostly well-intentioned) that a terminal illness seems to attract can sometimes impose on – and destroy – the natural process of dying. You may decide you don’t want a lot of medical intervention. It’s your choice and you can say so. If you’re still able to make decisions for yourself, and you wish to put that choice in writing for the time ahead, you may be able to draw up a Living Will or a Health & Welfare Power of Attorney. If it’s your parent or relative in a care home at the end of their life, it’s really important that you and the care home are in close communication – on a daily basis, if necessary – about what care is being provided. If your relative is unable to make decisions, you can express your wishes for that person to their GP and to the care home’s nursing team or the palliative care team. For example, you may not want feeding tubes inserted or any invasive treatment, and you may not want your parent/relative to go into hospital. If you have a Lasting Power of Attorney covering the health and welfare of the person who is dying, you may have more influence in this respect. A compassionate GP and care team may well take your wishes into account anyway, without you having a Power of Attorney, but there’s no guarantee. A care provider may be keen to keep feeding your relative, even if your relative doesn’t want to eat. The care provider may also be keen for you to agree to your relative having a feeding tube. Care providers can be vulnerable in this respect, because a family could easily sue them afterwards, claiming they didn’t do enough. That’s why it’s a good idea to put your wishes in writing, so that the care team feels it has some protection and so that it’s clear what you do and don’t want. There are some good end-of-life care services available. However, some care home residents find they don’t have access to all services. This may include the valuable help offered by MacMillan Cancer Support or Marie Curie. This could be because of a decision made by the care home, or because the various care organisations consider that care home residents are already receiving appropriate care. Hospices offer a range of therapeutic services but, if you want to access them, a hospice will often require you to travel there yourself. However, that may not be possible for you at this stage of your life – and, also, transport facilities at many care home could be be limited. You may find you’re not able to stay at the hospice for any length of time either – again, because you’re in a care home. People who are still having to pay full care fees at this point can find this rather unfair. However, the care home or your GP may indeed ask a hospice nurse to come in and visit you in a care home – to advise on things such as pain relief. These drugs can still be invasive, though, and may affect your clarity of thought and your interaction with those you love towards the end of your life. You have every right to refuse medication. It’s not unusual for GPs, nursing staff and hospice staff to say that a person at the end of their life can eat whatever they like – even if it’s completely devoid of nutrients. The rationale is that it doesn’t matter any more. And it is, of course, a choice for the person concerned. However, if someone has limited time left and wants to feel as well and as lucid as possible during that time, it’s vital that they receive energising nutrients and good hydration. In fact, having a high-nutrient diet can extend the time you have left. Sadly, it’s common for care home food to be low in therapeutic nutrients. This is the ‘norm’ – and yet nutritional supplements often have to have the ‘approval’ of a GP. GPs, however, generally have very little, if any, training in nutrition. If you’re visiting an elderly relative in a care home and you’re bringing in additional high-nutrient foods/supplements, you may find an understanding member of the care team who is willing to help your relative with these. As the relative of someone in care, you may be asked to complete a ‘Do Not Resuscitate’ form (DNR). This is where you indicate whether your relative should be resuscitated if/when they become unconscious. You can express your wishes in the way you know is right for the person you love. It can be very hard emotionally, but it’s important to make everything clear in advance. If you’re in a care home and receiving NHS Continuing Healthcare, there’s a chance the NHS could take away your funding as you reach the last stage of your life. In such a case, the NHS will say that you no longer need nursing care and that, to be blunt, you simply need personal care until you die. This can be devastating news to receive – on so many levels. Your family may want to challenge that decision immediately. Be aware, though, of the added emotional strain this may put on everyone. As a family member, maintaining a balance between fighting for what you believe to be right and spending time with the person who is dying, while you still can, is important. If you’re at the end of your life and you can still make decisions for yourself, make sure your Will is up to date. If it’s not, arrange for a solicitor to visit you as soon as possible to get it updated. If it’s your relative who is at the end of their life and they can no longer make decisions for themselves, then unfortunately it will no longer be possible for them to make or update a Will. However, in certain circumstances it may be possible for a statutory Will to be drawn up. Read more about Wills. “…should attend to the needs of the whole person and those who are important to them. People approaching the end of life should reasonably expect that their care will be pre-planned wherever possible; well co-ordinated; equitable; and ethical with regard to preferences and personal beliefs. “Involving the person and their carer in planning and agreeing a care plan, which identifies the needs and preferences for care at the end of life, ensures that they remain in control. This is fundamental to retaining a person’s dignity at a time when they are likely to be feeling at their most vulnerable. My uncle (91) has been extremely poorly and getting worse for several months and has been self-funding in a Nursing/Care Home. I wish I’d found your website earlier in this regard! However, one morning he was unable to be woken and while waiting for an ambulance was having endless seizures/fitting. He spent one day/night in a Hospital Acute Care Ward where he was found to be riddled with cancer – especially all over the brain. He was immediately put on morphine and a drug to reduce the fitting. Fast-Track Continuing Healthcare (CHC) was initiated and quickly approved to take place in the Care-Home. He was only expected to live for between a few days and a few weeks. Ten days in, with my uncle in a coma for 23 hours out of 24, I was asked to sign the Care-Home Contract for his CHC care whereby my uncle is required to pay 33% of the costs – undefined as “Hotel Services”. I have refused to sign and refused to pay; I have told them that the CHC guidelines make it an NHS responsibility to meet 100% of the costs to provide ALL aspects of his palliative care. How do I take this argument forward please – or don’t I have a chance of winning it? They now want to discharge her home, despite her condition, saying they’ve done all they can medically , that although she rallied initially, all these things are symptoms of the body giving up, it’s just now taking longer because of us being constantly at her side giving fluids. 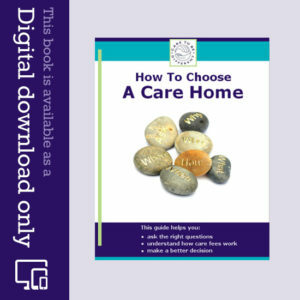 I agreed home was the best place now and was happy for her package of care to restart but wanted the Back up of palliative care as the anti sickness and pain relief injects are given several times a day, often needed most at night and are the only things that keep her comfortable and will give her a dignified passing. The docs and palliative nurse has refused this, saying the district nurse who already comes to give her an anti coagulant injection each day can give her these every morning. I’ve said her pain is worse at night and this won’t get enough. They told us they will increase her pain patch (which will only make her more drowsy and unable to drink) and we should learn to do the injections. This seems very unfair! I feel we are being thrown out to free up the bed and left to cope with what lies ahead, on our own. My mums health and abilities have deteriorated rapidly in their care in just 3 weeks and they keep putting it down to her body/mind choosing to reject medicine and want to die. I don’t believe that is true but even if it was, why aren’t they sending her home with the support of the palliative care team to ensure her pain is managed? The nurses all agree as they’ve watched mums journey whilst on the ward but say their opinion isn’t listen to as they are seen to be too compassionate. From a different angle. I’m a friend of a lady who is in hospital and is palliative. She has no next of kin local and lives alone. She would like to go home but we don’t think she’d manage at all as she’s not mobile nor self caring. She previously had carers three times a day but this won’t be enough and would be on her own overnight. So. Question is, with continuing health care would they provide overnight care as well as increased daily carers? I can understand your concern, Angela. 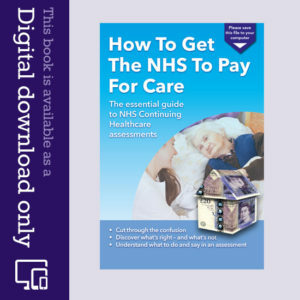 It may be worth exploring with the current care provider what links they already have with the NHS – just in case you are being incorrectly pushed towards the cheapest provider. Thanks for your reply, I’ve made enquires with the fast track team and been told they don’t use that care company probably due to what they charge, and that they have a contract with the other two care companies. Thanks again for your advice.